For my birthday I got to pick out one of my gifts so I decided to go to Holt Renfrew. 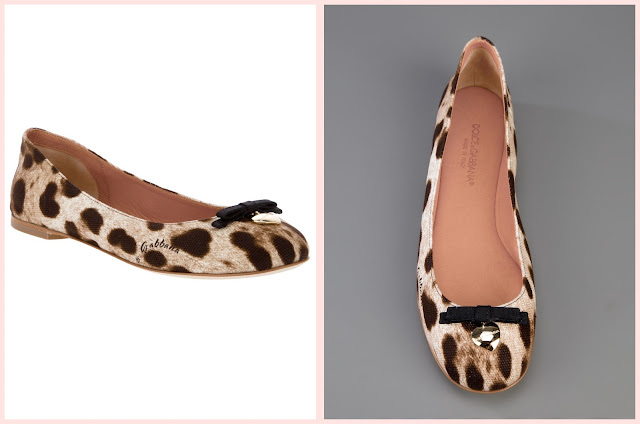 Among the endless amounts of dream worthy items I couldn't help but get drawn into these little leopard print flats. Yep, I can't yet kick my love for animal print. And nor should I have to because I could see myself putting a lot of mileage on these puppies over spring and summer. And if you want to go a step of fun further you can get these in purple since colour is something we don't need to shy away from anytime soon!